Filianoti recently headlined an all-star cast this past fall at the Met in Wolfgang Amadeus Mozart’s “La Clemenza di Tito” which was broadcast live to movie theaters around the world as part of the opera company’s Live in HD series. Regarding the experience of performing in front of cameras, Filianoti mentioned that he takes a more “measured and calculated” approach to his acting. “The style of acting has to be more natural and you have to concentrate so you always remain completely in character. It is best to avoid big gestures and melodramatic actions,” Filianoti said. On Friday night’s performance of “La Rondine,” Filianoti will be sharing the stage with Latvian soprano Kristine Opolais, who will be making her Met debut. Regarding the prospect of performing with a debutante, the thirty-nine year old tenor mentioned that the experience does not change for him. “I want every performance to be fresh and spontaneous, so there is no difference between performing with someone who is making her debut and with someone with whom I have worked many times,” said Filianoti. 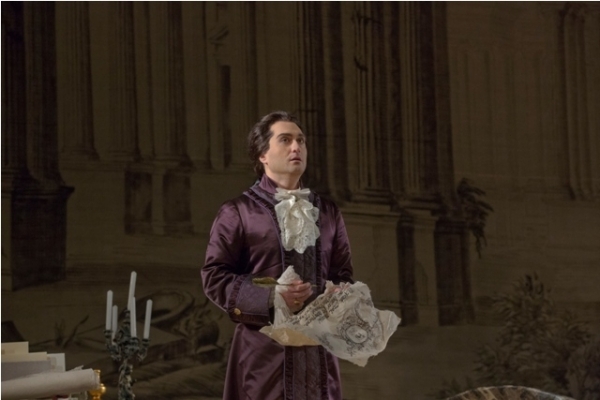 Filianoti made his professional debut in 1998 and has since turned into one of the rising stars in the opera world. Born in Reggio Calabria in 1974, the Italian tenor originally received a degree in literature before turning to music. “My intention was to become a writer, but then music took over. No regrets at all now, but I still have a great love for literature. I read many, many books and I consider reading relaxing and a great retreat from real life,” said Filianoti. During his ensuing conservatory years, Filianoti met noted Spanish tenor Alfredo Kraus who he claims is his greatest mentor and idol. Giuseppe Filianoti as the title role of Mozart’s “La Clemenza di Tito.” Photo: Ken Howard/Metropolitan Opera Taken during the rehearsal at the Metropolitan Opera on November 13, 2012.
with such noted American companies as the San Francisco Opera, the Los Angeles Opera, and the Lyric Opera of Chicago among others. Among the roles that he will be adding to the repertoire in coming years are Gabriele Adorno in Giuseppe Verdi’s “Simon Boccanegra” and Jacopo Foscari in “I Due Foscari (also by Verdi).” He will be making this debut in an upcoming production in Hamburg. Filianoti did not mention what his future plans at the Met are, but he did state that he would be returning in future seasons and did not shy away from expressing his admiration for the great company. 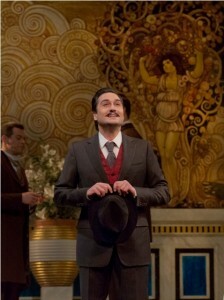 “Singing at the Met is always a thrill. Everyone who works in this theater understands how to help an artist and put you at ease,’ said Filianoti.